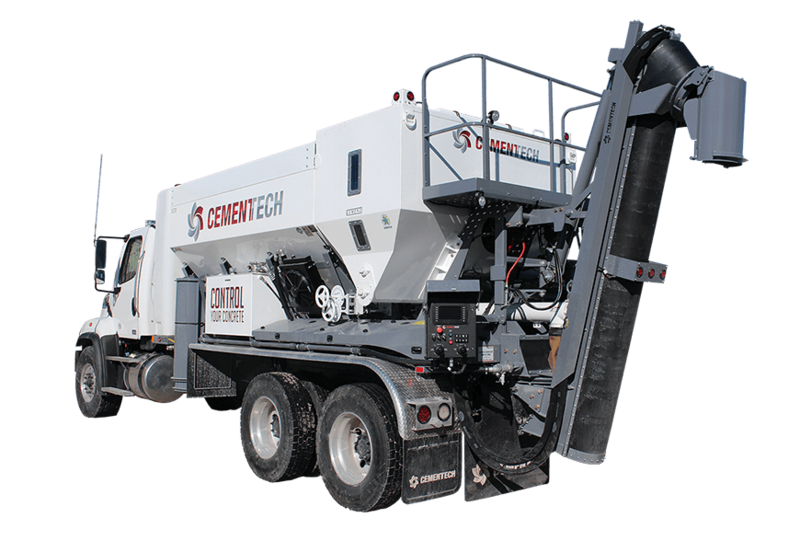 WHAT ARE CEMEN TECH CONCRETE PRODUCTION SOLUTIONS? 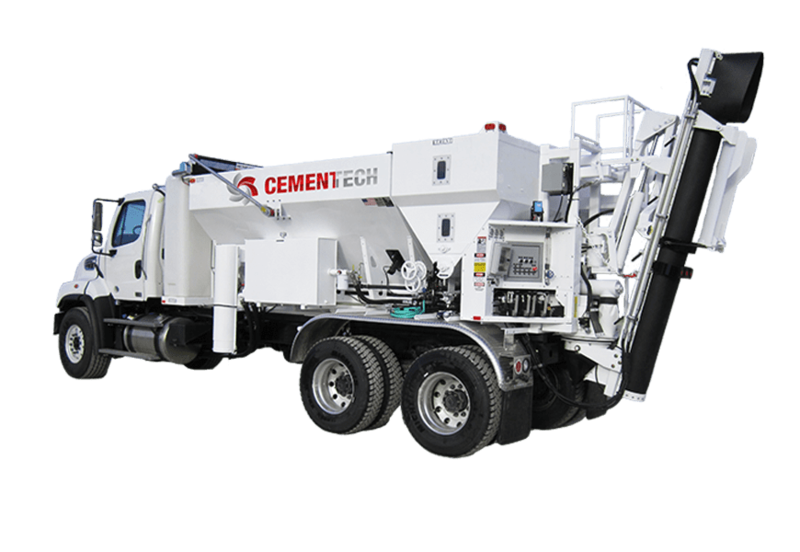 Cemen Tech concrete production solutions utilize our volumetric technology which means each pour is exactly the design mix you need, the specific quantity and when you need it. On-demand volumetric mixing is less costly, more time efficient, more versatile and a better return on investment when compared with traditional drum mixing. 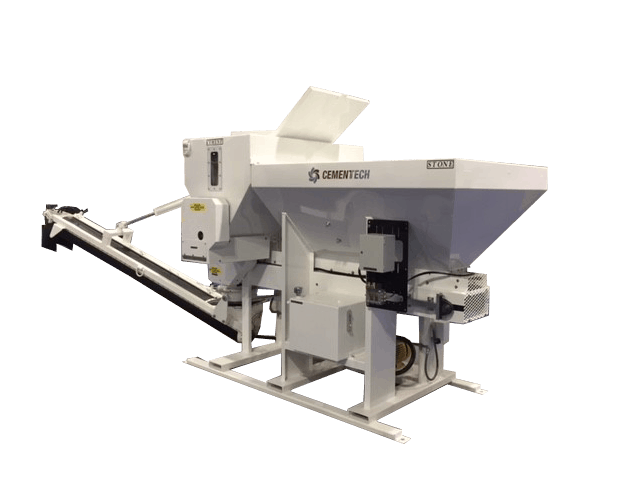 Cemen Tech volumetric mixing means you have less waste, more flexibility, and have total control of your concrete. Check out our Case Studies and Testimonials to see how others utilize Cemen Tech concrete production solutions. Store, proportion, mix, and dispense concrete with a single mixer. Variety of sizes and options available to fit your unique business needs. Changing mix designs is quick and efficient. Separate materials storage ensures you get a fresh mix on each delivery. Go from one job to the next without having to return to a plant to change mix designs. Overages and shortages are eliminated because you produce the exact amount of product the customer needs every time. Fresh concrete is always available, eliminating “hot” loads. Consistently produce the exact mix design, each and every time. Accelerated clean out and elimination of waste means our mixers are more environmentally friendly than traditional drum mixers. Concrete can be conveniently mixed during off hours, giving you scheduling control. 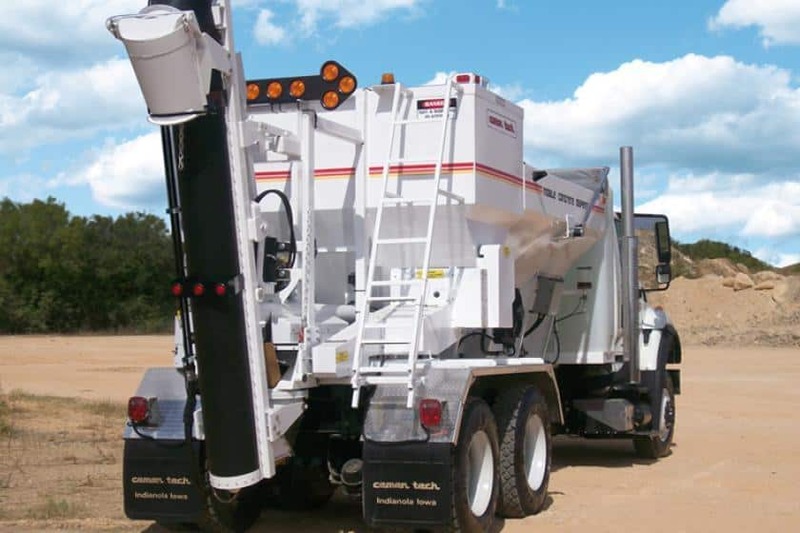 For more information on how volumetric mixing can help you take control of your concrete production, contact us today!